With the printing of the Delve mechanic in Khans of Tarkir, Black and Blue received many powerful new toys. Chief among these were, of course, the dreaded Treasure Cruise (which was banned in Modern and Legacy and restricted in Vintage) and Dig Through Time (which quickly followed suit). Both cards were banned after the release of Fate Reforged, but in return we got something that was nearly as good: Tasigur, the Golden Fang. With the printing of the Delve creatures (the other being Gurmag Angler) and the Command cycle in Dragons of Tarkir, Grixis strategies received a serious shot in the arm. Grixis Twin saw new play and Delver rose from the grave with Tasigur at its side. However, despite all of this the "traditional" Grixis control lists centering around Cruel Ultimatum had seen less and less success, eventually drifting into obscurity. However, Grixis control is still a powerful list, especially when not focused around bad 7 mana cards that don't win the game on the spot. It began seeing a lot more play both online and at Star City Games events, such as their Invitational Qualifiers. 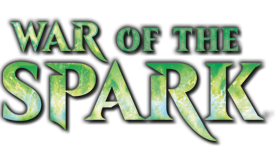 It originally debuted at the beginning of 2015 as a hard control list with Keranos, God of Storms in the mainboard and relying on things like Batterskull and Olivia Voldaren to win the game. It later morphed into lists centering around Blood Moon and Vedalken Shackles before settling on a proactive control list. This list, pioneered at GP Charlotte over the 13th-14th of June, 2015 in the hands of Patrick Chapin, tore into the meta in a gigantic way, going from a fringe (at best) deck to becoming one of the most popular in the format for a time, before settling to be a solid player in the meta. The deck's largest strength is its efficiency; no resource, whether mana, cards or graveyard, goes to waste. 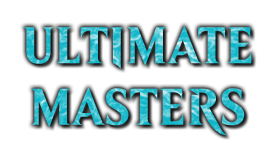 We only use spells that give the greatest power for their mana cost, such as ultra efficient removal (Terminate), powerful counterspells (Spell Snare) and dangerously flexible answers (Kolaghan's Command, Snapcaster Mage). Because of this efficiency, Grixis Control is faster than any other control deck, often able to drop a powerful Delve creature on turn 2 or 3 which it can then ride to victory. However, it also plays the long game well, allowing you to sit back and trade resources until you're ready to lock the game down. A grindier, almost midrange shell focusing on using Jace, Vryn's Prodigy evolved in mid 2015 and existed throughout parts of 2016. It used powerful kill spells and hand disruption (dropping counterspells completely) to better combat the midrange and aggro decks in that meta. 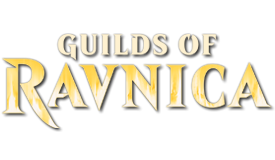 Lists running Jace cut down on Cryptic Commands and Gurmag Anglers in favor of Inquisition of Kozilek and Pia and Kiran Nalaar. After the release of Ancestral Vision these lists trended downward and barely see play - though they are still very powerful. As of April 4th, 2016 Ancestral Vision and Sword of the Meek are unbanned, both of which are powerful tools for this kind of deck. Ancestral Visions allows Grixis to grind into the late game against decks like Jund or Company and then gass up for more action, while the Thopter/Sword combo enables us to gain life and flood the board with flying attackers (while making us a bit weaker against Abrupt Decay and Kolaghan's Command). Because of the nature of control, you'll likely play very few sorceries in favor of instants. Serum Visions: Modern's most powerful consistency tool, even if it's got nothing on Ponder. Run 4. Ancestral Vision: Recently released from the banlist and ready to draw some cards, this is arguably the best CA spell in Blue. It has proven itself to be essential to our game plan and should almsot always be run. It's what allows us to outgrind other control decks and the BGx decks. Damnation: Black's best board wipe. Getting around regeneration isn't extremely relevant, but it can come up with Varolz and Thrun. Run 1-2 in the side. Languish: If you can't afford the frankly absurd price tag on Damnation or you don't like the idea of killing your own Tasigurs and Anglers, then this card is right for you. Sweeps away the majority of what you're worrying about while leaving your big guys alive. Inquisition of Kozilek: With the advent of Jace, Vryn's Prodigy, the value of this card has shot up. His pseudo-Snapcaster ability synergizes very well with sorceries, being sorcery speed itself. If you're running Jace, 4 of these seem great. Thoughtseize: Much like Inquisition, this card works best in a shell with Jace and slower, grindier cards. This one hurts you, though, so is somewhat less valuable than Inquisition. Serves as your hand disruption 5-8, though you usually don't need more than 5 or so. Pyroclasm: Affinity got you down? I have just the card for you. Anger of the Gods: If you need another sweeper, this is the one. Absolutely ruins Collected Company's day. I like 1-2 in the sideboard. Tasigur, the Golden Fang: The Black Tarmogoyf, and just as powerful. Splashable, flashy and efficient, this is the guy that put Grixis back on the map. Legendary is a thing, so run 2-3. Gurmag Angler: The Banana King's pet fish. Costs 1 more mana (which means 1 more Delve) which can be annoying, but he brawls with everything in the format. Being able to jam him into Tasigurs and Tarmogoyfs is extremely powerful. As Legendary is a thing with Tasigur, I would run this guy as a 2 of so you have at least 4-5 beaters that aren't dead in your hand. Kalitas, Traitor of Ghet: Hates on Company's graveyard combo, turns your Lightning Bolts into 2/2 zombies, blocks Goblin Guides for days, what's not to like? 4CMC and double black is a bit harsh so you can't run too many, but this guy grinds like nobody's business. 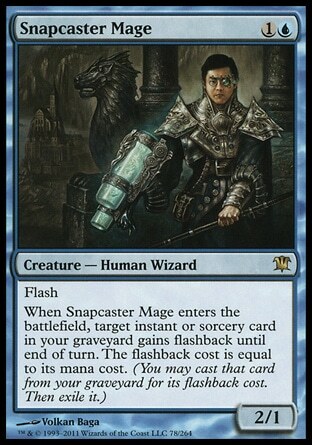 Snapcaster Mage: The best Blue creature ever printed. People think it's a nonbo with Delve, but if you're smart you get twice the value with none of the drawbacks. Run 4. 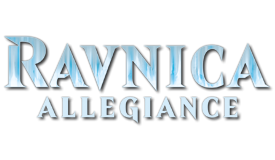 Jace, Vryn's Prodigy: The largest shakeup this deck has received since Patrick Chapin's codifying of the deck was the printing of this little guy. While technically a creature, he's really a planeswalker with some crazy value packed into that 1U that you paid for him. He acts as Snapcaster 5-8 while slowing down aggro decks and filtering your draws to a certain extent. He also offers the biggest divergence in builds of this deck: a grindier, more sorcery focused deck with hand disruption and kill spells galore, and the tempo focused lists with multiple Cryptics and Delve creatures. If you choose to run the more midrange version of this deck, Jace is a 4 of. If you want to play the Tempo style, Jace is much less valuable and not worth the space in your deck. Teferi, Mage of Zhalfir: Good in the control mirrors, or against Twin (may they rest in peace). It forces them to leave an Exarch on the field for a turn before they can Twin it, which gives you an extra turn to find an answer. Additionally, he's a 3/4, so he survives Bolt. A sideboard card imo, but definitely a powerful one. Be warned that UUU is a real cost. Vendilion Clique: A powerful value creature(s?). It dies to a stiff breeze, but puts a real clock on your opponent while simultaneously disrupting their gameplan. This (these?) guy can go anywhere from 0-2 copies, though many lists settle for 1 in the board. Mulldrifter: I like 2 for 1s, and I like them even more when they're stapled to a 2/2 flyer. This card's value is kind of crazy for its mana cost. It's a perfectly serviceable sideboard card and can even be maindeckable in grindier metas. Spellskite: A great sideboard card. Blocks dudes, stops Bogles and is actually pretty good against Burn. 1-2 in the 75 is best. Note that with Kommand, this guy has gotten worse. Be aware that if your opponent picks "Shatter and Shock" you can redirect the shock to Skite. Don't take the damage for no reason! Grim Lavamancer: Shocks stuff and can go face if needed. Be aware that he does like to munch your graveyard, so you have to be careful putting him in a deck with multiple Delve creatures. However, he's extremely powerful against Affinity, Infect and other such decks that are currently swarming the meta. He's a perfectly viable sideboard card and even mainboard in some lists. Young Pyromancer: This isn't the card most consider when they say control, but this little guy is a powerful option. He turns all your spells into value and can act as a finisher by himself. Not an auto include, but definitely a powerful option. If you do decide to run him, I'd go with 2-3 in a more tempo focused shell. Pia and Kiran Nalaar: Known aliases: Mom and Dad, Mom and Pop's Thopter Shop, Chandra's Parents, etc. This (these?) card brings a lot of value to the table for 2RR. 4 power worth of creatures for 4 mana, 2 of it having evasion, is very efficient. Being able to toss the thopters for extra damage is also relevant and the fact that you can rebuy Mom and Dad with Kommand to get some more thopters cannot be ignored. Many decks play around 2. Goblin Dark-Dwellers: An interesting fellow. 4/4 Menace for 3RR is meh, but recasting a spell with CMC 3 or less (like, say, Ancestral Vision) is the real deal. You can't run too many 5CMC spells in Modern, but if you're aiming to grind out your opponent than this guy's got you covered. Izzet Staticaster: Tokens got you down? Tired of all these Glistener Elves running around? I have someone I'd like to introduce to you. Fulminator Mage: This card is one of the best land interaction spells in Grixis Colors. It destroys everything we care about and can be recurred with Kolaghan's Command for that added oomph. It hits Valakut, the Molten Pinnacle, all the Tron lands, Inkmoth Nexus and the man lands out of other control decks. Many lists run 2-3 in the sideboard, where it often comes in alongside its buddy - Surgical Extraction. The majority of your deck. You have many powerful options here, and tweaking your numbers is an art. Dispel: Narrow, but good. The end all in counter fights. With Twin biting the dust, this has become much less powerful than it once was. 1-2 in your sideboard should be fine. Spell Pierce: More of a tempo card, but still hits early game stuff. Note that both Negate and Countersquall are a bit better in a deck like this. I'd run 0-1 with an edge to the aforementioned cards. Spell Snare: A powerful counter. Hits most opposing counters, Goyfs, Scooze, a fair number of Burn spells, etc. However, it is somewhat narrow. I'd run 2-3 in the more tempo focused lists. Thought Scour: Fuels Delve and Cap'n Snaps and cantrips. Instant speed mana usage. I would personally run 4, though shaving one or two for extra hand disruption is not the craziest thing to do. Mana Leak: A deceptively powerful counter. Hits stuff early and big things late game. Many decks run 2, though it's often the first card to go when making room for better creatures and kill spells. Negate: A narrow counter that doesn't seem narrow at all. 2 mana is pretty cheap for the effect and it will always have targets. I'd have 1 or so in the 75. Remand: Modern's trademark counterspell. Unfortunately, it's much better in tempo decks than control decks, as we don't have a game winning combo to delay to. Keeping that in mind, we are a tempo or aggro/control list and it pulls some weight, especially by replacing itself. In the Delve focused lists, 1-2 is fine. Jace lists can forego this card. Cryptic Command: The best Swiss army knife in Modern. Extremely powerful and flexible. With the rise of BGx and Tron, its power level has risen in accord. Many decks run at least 2 with some going up to 3, though Chapin himself played the full set. Surgical Extraction: This card is amazing for the sideboard. It hits all of the nonsense in Dredge (RIP Golgari Grave-troll. Again. ), can hit valuable combo pieces like Valakut and can also be used in conjunction with Fulminator Mage to take down Tron's setup permanently. I would never leave home without 2 in my bard. Fatal Push: One of the best removal spells printed in years. This thing kills almost everything we care about, from Arcbound Ravager to Tarmogoyf to Inkmoth Nexus (yes, it hits lands. Lands have a CMC of 0). With you trigger Revolt (like, say, with fetchlands) it can slaughter Siege Rhinos and Kalitas. It misses the Delve creatures and Revolt is a smidge harder to get than most people realize. 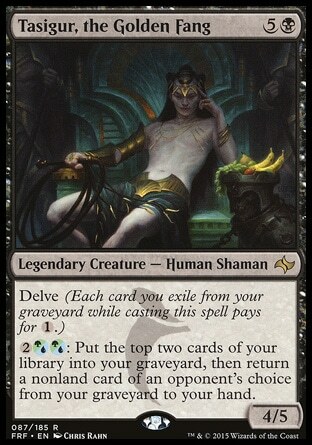 That being said, this card is an amazing addition to the deck and many decks run 2-3 or even more. Murderous Cut: Another Delve spell that helped put Grixis on the map. Unconditional removal that can be played for less if you like. In the more tempo focused lists, this competes with your win conditions, making it a bit less viable, though certainly playable as a 1 of. In the grindier lists you can theoretically go over that number, but 1 tends to be where this sits, if you choose to play it over Dismember. Dismember: Low mana cost removal for big stuff. Can answer an Exarch for 1 if they play it on your upkeep and tap down a land, though it certainly comes at a price. Your mana base is likely going to be fairly painful, making this card a little iffy. It's certainly strong, however, and worth considering as a 1 of. 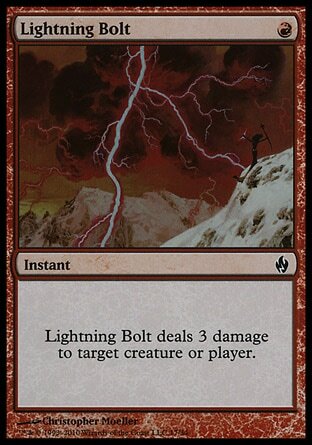 Lightning Bolt: We're Red. Play 4. Terminate: The most efficient removal spell in our colors, and perhaps in Modern. Most lists run 4. Recently some lists have been shaving copies for Fatal Push, though you still want to keep some around to combat the Eldrazi menace. Kolaghan's Command: The real deal. Always a 2 for 1 and almost always relevant. Works extremely well with Snapcaster Mage (being able to buy a Snapcaster Mage back and then flashback your Kommand is absurdly powerful) and Fulminator Mage (reusable land destruction? Yes please). Do not play less than 2 and you can even go up to 3. Countersquall: Recently this card has begun showing up in the main deck - pioneered by Corey Burkhart. Most creatures that hit the battlefield immediately die to our powerful removal, which means that we need ways to combat planeswalkers and instant speed threats like Ad Nauseam and Collected Company. Hitting for 2 while getting countered is no joke and this card can help close games. Many lists are now running 2 in the main deck. Electrolyze: We've seen it, it's powerful. Cantripping and swatting Spirit tokens is fantastic. Currently running into competition with Kolaghan's Command for the 3 mana instant spot, with many giving the edge to the powerful Rakdos colored spell. Blood Moon: A powerful sideboard option. Hoses several popular decks (such as Amulet Bloom) and is very powerful against others (Tron, Abzan). Remember that you need to warp your mana around it game 2 if you bring it in, and be prepared for your opponent to do the same. If you play Fulminator, you can leave this out. Otherwise, run 2 in the side. Keranos, God of Storms: The Izzet grinder of choice. Very difficult to get rid of, though he's also very difficult to turn on. However, he doesn't really need to become a creature as he'll draw you cards and bolt stuff, which generally locks the board down in short order. I'd run 1 in the side, though some move him to the main in heavy BG/x metas. Has gotten less good lately with Nahiri, the Harbinger, but since she's somewhat of a fringe card it can still be reasonable. Vedalken Shackles: Very weak to multiple meta cards at the moment, most notably Abrupt Decay and Kolaghan's Command. It can take over creature matchups fairly quickly if you decide to play it, however. I'd run 0-1 in the side, leaning towards 0. Batterskull: Gains life and blocks/attacks, though not nearly as well as it used to. The rise of 4/5s in Tasigur, Rhino and Goyf have rendered this card not quite as good as it used to be, and it's weak to Kolaghan's Command. 1 in the side is fine for certain matchups, though you certainly have better things competing for those spots. Dragon's Claw: If you're terrified of Burn, run some in the side. Many consider Spell Snare/Negate/Dispel to be better at combating Burn, however. Engineered Explosives: Wrecks tokens, is good against creature matchups like Company, Elves and Merfolk and is our only answer to resolved enchantments. I'd play 1-2 in the side. Liliana of the Veil: In the midrange, Jace focused lists, Liliana is certainly a powerful option. Many decks will run at least 1, sometimes even 2. In lists with lots of counterspells this card is actively bad (you don't want to have your one card left be a counterspell and have to choose between that and using Liliana). It should be avoided in that style. Liliana, the Last Hope: Helps Delve and mows down Infect creatures and Lingering Souls. Can be a fun sideboard card. Ashiok, Nightmare Weaver: Not bad against BGx or other creature matchups. Often nets you a dude or two before dying. Can be a spicy inclusion, but is pretty fringe. Jace, Architect of Thought: Card advantage and good against aggressive decks. Somewhat expensive at 4 mana, so I'd only run 0-1 in the side. A manabase of fetches/shocks is best. It fixes our mana well and fetches feed the yard for Delve. I'd prioritize Deltas, then Tarns and then Mires. Be aware that we have a heavy R/B mana requirement, but also need UUU for Cryptic. Fetch accordingly. The only manland worth playing is Creeping Tar Pit. It's an evasive clock that provides mana when needed. Be aware that it enters tapped and is boltable. Play around this. We don't have much space for colorless utility lands. Our mana requirement is too greedy. Don't try to shove a Ghost Quarter or Lighthouse in. It won't work. The most popular version of this deck at this time was pioneered by Corey Burkhart. It utilizes very few threats, relying only on 3 Tasigur, the Golden Fang, 2 Creeping Tar Pit and 4 Snapcaster Mage to win the game. 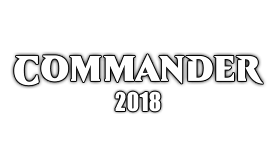 It focuses mostly on grinding its opponent out with a value cards, including a playset of Cryptic Command and Ancestral Vision and several Kolaghan's Command. He had several tech pieces, such as a 1 of Engineered Explosives, which are very powerful against the current meta. I've been running grixis control a lot lately and I really like a 2 of pack rat and a bskull. I've found both can help me start to turn the tides of a game, and pack rat is GREAT if the game goes really long and is so hard to get rid of with Kolaghan's and Snap bringing back more Kolaghan's. I've been enjoying a 2 of Thundermaw in the side as well to go over the top of Junk lists. Currently my list has 2 cruels in it so I know this isn't TECHNICALLY the thread to post in, but honestly I think they're more fun than they are auto wins (they get sided out a lot) and could easily be subbed out for anything else. Blood moon might be a bit too greedy in a grixis shell. I could be wrong though. Question though - at what point does your creature base turn you into a midrange deck? The creature base in your list seems to be pushing it that way slightly, and I'm not sure if the build you posted is control enough to be considered full control or midrange enough to take full advantage of it's creature base. Just some thoughts. I was toying with the idea of a Grixis Control deck. I think your list is a great jumping point. - I strongly dislike Serum Visions in a world with Anticipate. Serum Visions is good only in a Delver/Young Pyromancer shell. Cut all of them, put three Anticipate. - I don't think Olivia does everything we need it to do here. It's fine in Jund, because Jund can play Goyfs as need-to-answer-right-now threats, and Olivia sometims can fly unscathed. I'd cut it. - Blood Moon IS greedy. BUT, as a Blue Moon player myself, I appreciate it. 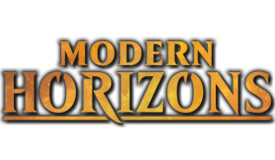 When I get home, I'll post an idea of a Grixis Moon deck. As for now, I'd move it to the sideboard. - I think 3 Murderous Cut are a bit too much, would play 2. - This may be one of the best non-tempo Mana Leak decks, since it doesn't run Paths. Would play 3. - Batterskull is a good maindeckable card here, since Burn looks like an awful matchup. - Vendilion Clique as a 1-of seems good here. - Maybe a one-of Academy Ruins would be a good utility land, to bring back a milled Batterskull, but I'm not sure. We do run A LOT of basic Islands. I love this idea, will subscribe to this thread. I think anything less than 3 Cryptics and 4 Terminates in a list like this is a mistake. Terminate is just too efficient of a card to not be running the full playset. Its the closest thing Grixis has to a path to exile type of card. I don't really like a control deck that relies so heavily on cantrips because you run into the issue of cantripping into more cantrips and then you get nothing but air. I think a playset of Anticipates are reasonable, but I'd leave it at that. My only problem with running that many Cryptics is that there are times when the mana just won't align for UUU. However, if you think the mana will align, I say go for it. It's a powerful card. I also don't like that Terminate requires you to have RB to cast it, whereas Cut requires B and Delve. I do agree that Terminate is extremely powerful though, so it will likely go up to 3-4 in the next little bit as I toy around with my list more. I'm still not sure if I like Anticipate or not. Being 1 mana is huge for things like Serum Visions, though the selection with Anticipate is indeed powerful. I think I'll try out a set of them at my next tournament and see how I like it. And I agree that Olivia isn't the best card immediately for this. I mostly play her because there's a couple Mentor decks in my meta that also run things like Pyromancer and Lingering Souls, and she's a house against that. I also like that she grows each time you use her to provide a faster clock. Batterskull probably is the right choice in a vacuum, however. The lifegain and resiliency can be very powerful. There are really only 4 creatures (Tasigur and Olivia). Snapcasters I see more as 1U "give a card flashback" in the sense that they often eat a bolt or get chumpblocked very easily. Keranos isn't likely to turn on, so he's more of an enchantment with upside. As for Blood Moon, it's probably correct in the sideboard. I'm biased against running it in the main from my time playing UR Twin with Moons maindeck, and it was almost always a house. There are some decks that it's likely to be dead against, though, so you're likely right. Usually if a Snapcaster gets bolted, I'm perfectly fine with that since that means one less bolt that gets thrown at my face and I've already gotten value out of him via flashback. I think in regards to midrange, you'd call a midrange deck a "Bigger agro deck", meaning much more threat dense in terms of creatures. You'd need a lot more Stormbreath Dragons, Confidents, etc. for this to even come close to approaching a midrange deck. Besides, I don't think a Grixis midrange deck would be nearly as efficient as even Jund, much less Junk. Batterskull sounds great for this kind of deck. I think you do kind of need some kind of dedicated draw spell to grind out wins, unless you expect to slam Tasigur/Keranos and win from there. Maybe a one of Blue Sun's Zenith just to pull ahead? Blood Moon out of the sideboard can work but only so long as you build your manabase around it. Game 1 you'd probably want to fetch out a lot of shocks, because fetching mostly basics game 1 would send a red flag to your opponent that you're on the blood moon plan and fetch accordingly afterwards. Hmm, I'm not sure yet. I do like that BSZ is an instant, but I'm not sure that I like straight card draw. I might play a 1of and see how it treats me. Agreed, though you can also do the opposite and play Blood Moon game 1 for a potential easy win, and then side it out if you think it's not worth it. Your opponent will likely still play around it (at least in the beginning) while you won't have to. I'd try Jace's Ingenuity instead of Blue Sun's Zenith. I'm not sure I like tapping out to draw a few cards, even at instant speed. It's the same reason I'm skeptical of BSZ. I might try Think Twice, though I'm not 100% on this. It generates CA and gives you things to do with your mana when you don't need it. If you're going to run think twice, I really do suspect that anticipate would be the better choice. You run a lot of 2 and 3 ofs in this deck, rather than a ton of 4 ofs, and finding them when needed seems wise. Anticipate joins serum visions in this role, but allows you to do so at instant speed, even if you don't end up paying 5 mana (admittedly over two turns usually) to actually generate card advantage. A card to grind out wins isn't a bad idea, but you only really seem to need it in control matches, and I was under the impression that was what keranos and tasigur were for. Is Counterflux not mentioned for this? I'd like to suggest a singleton Mogis, God of Slaughter - him being one less than Keranos and a cumulative 2 damage; assuming they don't sac, which is fine; kills quicker than how Keranos can often wiff. Keranos is still a beast and I'm not suggesting Mogis is better, I've just had Mogis steal more games for me than Keranos. What about a Leyline of the Void and Rakdos Charm mention? Countersquall isn't a bad sideboard one of. Also, Slaughter Games is a sorc. You have it under instants. I approve of this thread. I love Cruel, but it is too slow in this meta. However, that doesn't mean one shouldn't still play Grixis Control. I've not been running Cruel in the past couple of weeks. Whoops, my bad on the Slaughter Games. I'll fix it when I'm back on my computer. I've also seen a few other card suggestions that I want to update (Mystical Teachings and Grim Lavamancer, for example), so I'll do that as well when I get the time tomorrow. And I think I'm on the Anticipate plan. I feel like it's a powerful card, and with 4 of them, 2 Remand and 2 Thought Scour, we should be fine on card draw/selection. I run three counterflux in my side and bring them in anytime control is lurking, which can sometimes be a subpar matchup (all of our creature removal can be pretty dead v. control). It being a hard 'no' is wonderful and delightfully frustrating for someone looking to play spell pierce games with you. You definitely get to points in a control match where you need to ABSOLUTELY land a specific spell (batterskulls, thundermaws, even cryptics) and counterflux makes that happen. Also, storm pretty much folds to counterflux with mana up. I've been looking at both think twice and anticipate, in a snapcasterless build I'm not sure at all which would be better. Probably think twice for the extra late game draws. IMHO, I'll take Keranos over Mogis most of the time. Keranos giving you card advantage AND potentially bolting creatures + your opponent is too good to pass up. Lastly, Jace AOT has saved me so many times. Even if he just stalls the board for a few turns and dies giving you some card advantage, it can be enough to draw into enough counter protection / threats. GREAT as a 1 of in almost any list. Keranos is a beast, and I'm not advocating that Mogis is better or to not run Keranos. I often need Keranos to close out the game, and Mogis is more of a guarantee and a turn faster. I say guarantee bc I often keep the board oppressed and rarely need to remove things with Keranos. Keranos doesn't hit manlands. Keranos does target however, and can miss on a Spellskite, whereas Mogis can't be redirected. I run Mogis and Keranos; getting back either of these gods with Kolaghan's Command is hilarious. I run 4 Anticipates. I love Cryptic Command, but it's so restrictive in mana and slow against the fast meta. Cryptic isn't that great against UWR, Twin, Burn, Infect, Grixis Delver, Merfolk, and etc. Since Cryptic doesn't often win the counter war argument, I've just been running Counterflux instead and so far have no regrets. Cryptic is a powerful card, but I feel it has been lacking for me at this time in the meta. Counterflux looks great, especially with a lot of Twin around. Out of all the "no's" you can say, that one is probably the hardest. Just a formatting thing--you have Inquisition of Kozilek and Thoughtseize (which are sorceries) listed under "instants". Excellent primer! The deck looks cool and I'm excited to see where it goes. Thanks to Traproot Graphics for the super awesome banner! I'm taking my version of this deck tonigh to my local game store. Vedalken Shackles main (with Academy Ruins, and an artifact "packagae" in the sideboard) and Inquisitions on the sideboard. Later I'll post the results. I suggested BSZ just because it's more flexible and a mana sink at the same time. Got 7-8 mana open at the end of your turn? Pop BSZ and reload. Ingenuity will always hit for 3 cards, while BSZ's effect is slightly more flexible. I've never been a fan of Think Twice because I feel like the slots you spend on it are better used elsewhere. I'd rather run 1-2 Sphinx's Rev type "big" draw spells than spend a ton of slots on cantrips and have those slots open for more removal/utility spells, but I may be in the minority on that. Ha, there's all sorts of cards making their way into the instants tab. Everything should be fixed now, and a few more cards have been added. Thanks! I'm not a big fan of Think Twice, but the ability to split your mana is actually kind of important. I feel like BSZ is good in midrange matchups, while Think Twice is better in counterspell matchups. Though Anticipate is probably the correct choice over either of them.